On February 1, I joined Caitlin Boyle and Molly Barker (and others!) in their Naked Face Project. These women make a HUGE ripple in this river o’ life. Among many other things, Caitlin is the founder of Operation Beautiful. And among many other things, Molly is the founder of Girls on the Run. I invite you to read Caitlin’s and Molly’s motivations and observations in their respective blogs. First things first – NO ONE asked for my cool BIG red purse. I’m kinda groovin’ on that. Not because I want to hold onto it, but because maybe that whole sizing down thing is catching on. Not to fret. I’ll donate that purse to someplace groovy. My big lesson this week was simple, but not easy. I was in a meeting with a long-time pal who mentioned that I look worn out and he was worried. Oh well. I thanked him for his concern and assured him of my health. 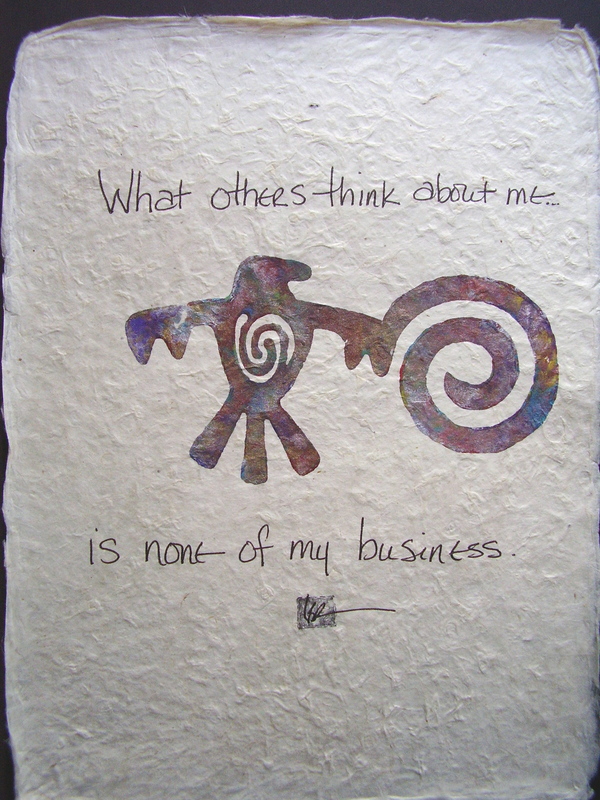 How do you balance others’ opinion of you with your opinion of yourself? Previous post288 – 319 in a year of 2012 wOws! Next post320 – 366 in a year of 2012 wOws! To me, this is one heck of a lesson to learn! I am SOOO working on it. I am at the very beginning stages of this lesson….I am able to SAY “Thank you for your opinion/thoughts/honesty”. BUT when by myself, I still tend to ruminate on what the person said….. I am working on the next step to accepting me though…after thinking about what someone says to me about me, I evaluate it for any truth. IF there is truth and I can work at being a better me by changing something, I work at it. IF I find no truth, I ma getting much better at letting the statements from others go. I’m with Judi on this one…I am so at the very beginning stages of this lesson! Got a long way to go. Thanks for leading the way, Lisa. As the baby in a dysfunctional family, I took on the role of the “fixer” and “pleaser,” which grew into needing people to approve of me, my decisions, and my actions. It probably also affected my perception of people’s reactions to my appearance. I am having more luck dealing with the latter—actually having fun in my old age letting myself look “different” than the crowd. The former, however, is still hard. When I discover that someone is critical of me, I tend to get my feelings hurt and probably try too hard to win that person’s approval. I’m working on it, though. I suppose the best thing to do is to not do things thoughtlessly, then just be sure in my heart that I am making good decisions. Then I shouldn’t care, right? love ya’ll! thanks for chiming in. your courage humbles me.